My experience at Omega has been challenging as well as rewarding. The staff, along with the instructors, are all wonderful, and have extensive knowledge and experience when it comes to the music industry. 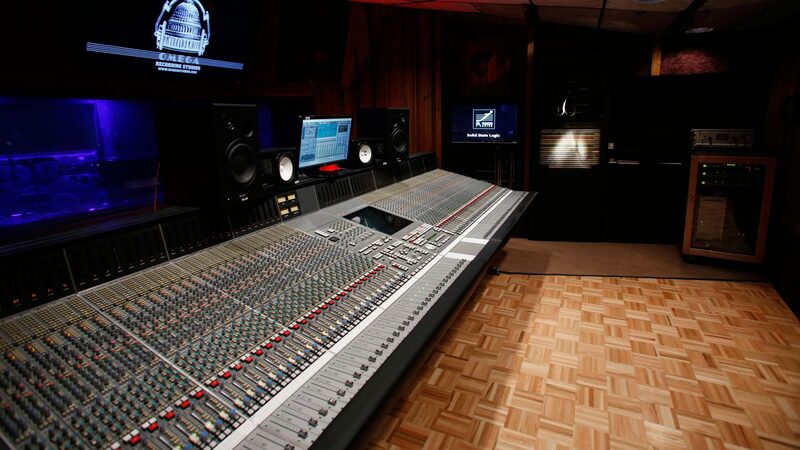 I valued the opportunity to work on major recording consoles such as the API, SSL, and the NEVE, to work with Pro Tools, McDSP, Waves, and lots of professional outboard gear, and also to study with the talented engineering staff. But what really spurred my decision to attend Omega was when I found out that military veterans benefits were approved for ALL programs! I am a military spouse of an Iraqi war veteran, and my wife was able to transfer some of her post 911 benefits over to me so that I could further my education. This allowed me to pursue my goal and dream of working in the music industry. The process was easy and painless. Mr. Jeff Girdler, who is one of the administrators at Omega as well as a veteran himself, was able to resolve any issues I had in regards to the veterans benefits process. I have just completed the Audio for Music Production (AMP) program (previously known as the Comprehensive Program) and I am now completing the Audio Engineering for Film and Television program. Attending Omega has truly helped me develop a well rounded understanding of the craft of engineering. Being at Omega has also shown me the many diverse opportunities there are in the industry, the importance of networking, and how you should conduct yourself professionally in this industry if you want to succeed. Last but not least, always be humble and strive to be better than the day before, characteristics that were modeled by the instructors. Being a student at Omega has opened a door I was not expecting. I was recently accepted into the National Association of Broadcasters Education Foundation’sTechnology Apprenticeship Program (TAP). The program exposes Technology/Engineer graduates to the broadcast industry. Only 16 students from across the country were accepted, and SIX are or were graduates of Omega Studios’ School. That says a lot about the caliber of Omega Studios’ School graduates, because the other 10 students/engineers that were accepted are from major university’s such as Oklahoma State University, University of Georgia, and University of Missouri, to name a few. This program is worth it’s weight in gold. The NABEF covers the cost of sending the TAP participants to Las Vegas for a week to be part of and attend the NAB show convention. We are also all currently interning at different broadcast stations through out the country, which was set-up and paid for by the NABEF for the months of June and July. I am currently interning at WHUR 96.3FM, which is the historic Howard University radio station. I get to shadow and learn from the assistant chief broadcast engineer Eric Wright at WHUR, and occasionally help with connecting/wiring equipment and performing maintenance on the FM transmitters. I also got a chance to put the knowledge I’ve acquired in the Sound Reinforcement Program to use when I got to operate the small 12 channel Mackie board for the 6th annual aids testing day event, which was broadcast live in D.C for the “Mid-day with Triscina Grey show“. Thanks Neal!! For my next TAP assignment I will be shadowing one of NEP’s engineers, who will be performing a remote broadcast for the Washington Redskins Monday night pre-season football game on August 18th. I will be working side by side with him to help set-up/prepare the rig for the broadcast, help during the broadcast, and finally break everything back down. This great opportunity and additional experience that I am receiving from the NABEF would not be possible if it was not for Robert Scott Adams, who is Omega’s Director of Job Placement. Mr. Adams kept my email inbox full of reminders to submit my paperwork for the NABEF and it paid off. Thanks Robert! Bottom line, I so gratefully to all the staff at Omega: the Owner Edward Peterson, Rick, Neal, Nick, Cephas, Pete, Jim, Adam, Bill, and “Mr. Sho Nuff” Scotty. Any accolades I receive in the future will be because the seeds of success were planted at Omega Studio’s School of Recording Arts and Sciences.